The cost of delivering Middle East crude to Asia, down for the past four sessions, may advance next week as traders return from an industry gathering. 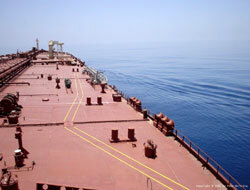 The cost of delivering Middle East crude to Asia, down for the past four sessions, may advance next week as traders return from an industry gathering with five days to find the vessels they need for early-March loadings. Oil and shipping executives met in London for International Petroleum Week. 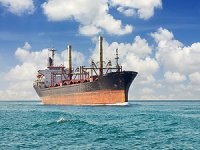 That absented traders from the tanker market and crimped demand, at least three shipbrokers said this week. ?The market has a chance to improve? next week, Per Mansson, managing director of Nor Ocean Stockholm AB, said by e- mail today, adding oil companies are ?late? arranging their early-March shipping requirements. ?Owners have held it quite good this week even if it"s very quiet,? he said. 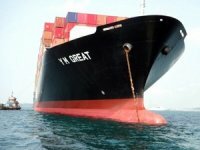 There are about 15 remaining cargoes for loading between March 1 and 10 and about 15 to 18 ships, Nikos Varvaropoulos, an official at Optima Shipbrokers in Athens, said by e-mail today. Normally an equal number means supply is effectively constrained because not all ships are acceptable to all oil companies. 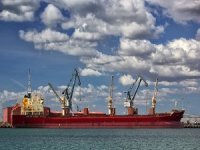 Some owners don"t tell brokers if their ships are available for hire and some oil companies may have spare ships. 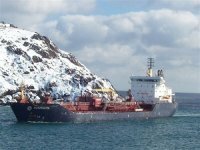 No new bookings for double-hull tankers, which cut the risk of an oil spill, were reported by shipbrokers today. The price of hauling Saudi Arabian crude oil to Japan, the industry benchmark, fell 2.3 percent to 49.63 Worldscale points yesterday, according to the Baltic Exchange. It"s down 5.2 percent this week. Worldscale points are a percentage of a nominal rate, or flat rate, for more than 320,000 specific routes. 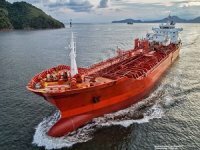 Flat rates for every voyage, quoted in U.S. dollars a ton, are revised annually by the Worldscale Association in London to reflect changing fuel costs, port tariffs and exchange rates. Each flat rate assessment gives owners and oil companies a starting point for negotiating hire rates without having to calculate the value of each deal from scratch. 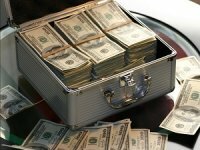 A rate of 49.63 points works out at $43,773 a day, according to the London-based Baltic Exchange. Globally the carriers are making $39,994 a day. Frontline Ltd., the largest owner of the vessels, said today it needs $34,700 a day to break even on each of its supertankers, a 10.2 percent gain compared with Aug. 21.